Statement that the other parent may file a petition in opposition to the move within thirty (30) days of receipt of the notice. The statute goes on to explain if the parents can’t agree on a new parenting schedule, it is the relocating parent’s responsibility to file a petition with the court seeking to modify the visitation order. Additionally, the other parent should, within thirty (30) days of receipt of notice, file a petition in opposition to removal of the child. The facts of Mark Miller v. Annie Miller are Annie Miller (Mother), the primary residential parent of the party’s two minor children, relocated to Wisconsin after a modified parenting plan was agreed upon with Mark Miller (Father) and entered in the Circuit Court of Davidson County. After having lived in Wisconsin more six months, the Mother filed petitions for injunctive relief in Circuit Court of Winnebago County,Wisconsin after having also filed in Outagamie County, Wisconsin asking for and being granted a temporary restraining order preventing all contact between the Father and the Children due to alleged sexual child abuse and neglect by the Father. As such, the Mother suspended the Father’s spring break and summer vacation visitation. The Father subsequently filed contempt charges in Davidson County Tennessee due to the Mother non adherence to the parenting plan and the Mother was found guilty of two (2) counts of criminal contempt by the Davidson County Tennessee Circuit Court and she was sentenced to seven (7) days in jail with the court staying execution on all but two days. 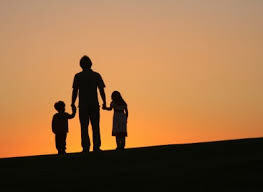 The Mother appealed the trial court’s criminal contempt charges arguing the Tennessee court didn’t have jurisdiction when the children had lived in Wisconsin over six months and their only connection to Tennessee was visitation with their Father during summers and holidays. Also, the Mother argued the Tennessee court erred in finding her in contempt when she failed to produce the children for summer visitation while under a protective order from a Wisconsin court preventing all contact between the Father and the children. Accordingly, the Court of Appeals reversed the trial court’s order of criminal contempt. If you are dealing with proposed modifications of your parenting plan due to relocation, non adherence of the permanent parenting plan, or especially if you suspect your children are being abused by their other parent or anyone else then you should seek the services of an experienced family law attorney. Contact Jim Widrig or any of the attorneys at Widrig Law PLLC to schedule a free consultation. Our phone number is 615-417-7800.